Bordered by the Western Ghats on the east and the Arabian Sea on the west, Ratnagiri is a historic port city which is said to have been flourishing since ages. As per historical records, this beautiful yet unexplored city was established in the Medieval Period of India and since then, it has been a major port town in the country. As its history dates back to several centuries, you can find numerous ancient monuments within its boundaries. The most prominent ones amongst them include forts and palaces. So, how about exploring its majestic forts this season? Even though these historic marvels have been victims of time and are in ruins today, they still carry legendary stories of their formation and destruction. Some of them lie atop hills and hence, are perfect destinations for trekkers and campers. Let's move and learn in detail about these mesmerising forts in Ratnagiri, ranging from their history to their location. One of the oldest forts in the region, Jaigad Fort is located on the coast of the Arabian Sea on a cliff and overlooks the beautiful expanse of the open sea. It was built in the 16th century by the Bijapur kings. However, later on, it was ruled by several other kings including the rulers of Sangameshwar until it came under the control of the British army in the early 19th century. Even though the fort is in ruins, you can still find its ramparts and outer walls intact. There is a small temple dedicated to Lord Ganesha, a tank and the palace of Kanhoji Angre within the compound of the fort. If you are looking forward to exploring the history of Ratnagiri, then this fort must be on your bucket list. You can also savour the beauty of the nearby tourist spots, such as Jaigad Light House, Kunbiwadi Beach and Jama Masjid. Another beautiful fort which has become a victim of time, Bankot Fort is believed to have been established with the motive of guarding the trade route which ran along the Savitri river. The fort is located atop a small hill and provides its visitors with a commanding view of the nearby settlement and the sea. Even though the exact history of the fort is unknown, it is said that it was constructed during the reign of the Adil Shahi dynasty in between the 15th and the 17th century. However, there have been several records of this fort dating back to the 1st century. Later on, the fort became the official residence of the British. Today, it is standing with its ruined structure narrating the legends from the past. It is a perfect place for a history lover to spend their weekends. Located at a distance of about 140 km from the main city of Ratnagiri, Rasalgad Fort is nestled atop a triangular plateau and is a perfect weekend destination for trekkers. Surrounded by beautiful vegetation and blessed with a cool and pleasant weather, a trip to Rasalgad is a soothing and everlasting experience. As per historical records, the fort was under the control of the Marathas in the 16th century. However, later on, it was captured by the Peshwas and then the British, who used it as an army post. Today, the fort is under the care of the Archaeological Survey of India and has become a popular tourist attraction amongst local tourists and trekkers. There are also a few temples located within the fort complex. 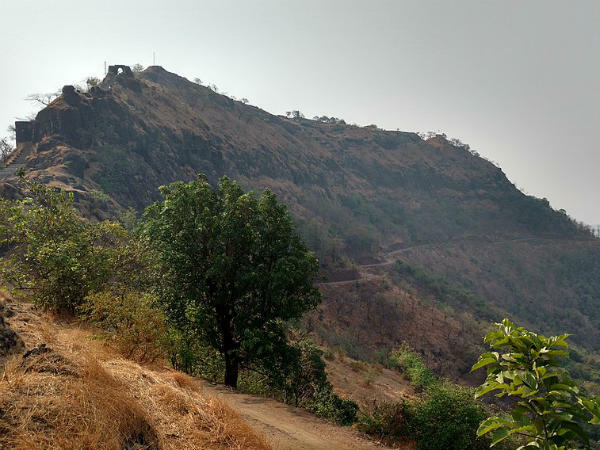 Built in the 15th century by the kings of the Adil Shahi dynasty, Mahipatgad Fort not only boasts of its historical significance but also its natural surroundings. It is located atop a hill at an elevation of more than 3000 feet in the vicinity of the Khed city and is one of the largest forts in the state. If there is any place in Ratnagiri for trekkers which can get their adrenaline rushing, then it is Mahipatgad Fort. Surrounded by dense forests and rich vegetation, this ancient fort is also home to temples, wells and ruined palaces. Wouldn't you love to explore its history? From savouring an adventurous trek to studying its ruined walls, there is a lot to do here. The nearest fort to the centre of Ratnagiri is Ratnadurg Fort at a distance of about 5 km. The fort is located on the coastal region and was built during the Bahamani Period. However, it was captured by several other dynasties including the Marathas and the Peshwas later on. Today, it is a popular tourist attraction and is visited by hundreds of locals every month. As the fort is also home to the highly revered Bhagawati Temple, it is frequented by several Hindu devotees as well.